Marthanda Varma | Movie4Cast - The Most Complete Movie Community Platform! 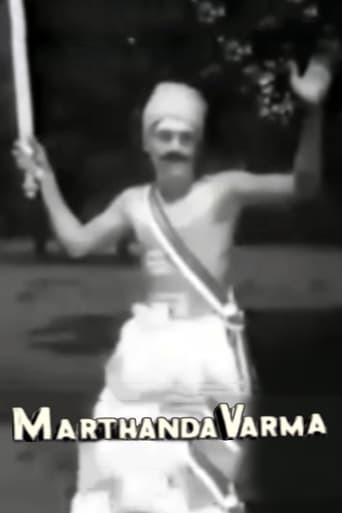 This film features Martanda Varma (Jaidev) the legendary founder and king of the Travancore State (now Kerala) from 1706-58. It tells the story of love between Anantha Padmanabham (Menon) and Parukutty (Padmini), the political conspiracy of Padmanabha Thampi (Naik) and the heads of the eight Nair Houses against Martanda Varma. It opens with newsreel coverage of the aarattu procession of the Travancore maharaja Chitta Thirunal, including elephants, cavalry and the Nair Brigade before embarking on the story of the king's ancestors. Scenes from the young Martanda Varma's youth are intercut with well-known episodes from the novel.